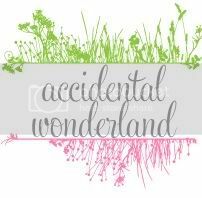 Accidental Wonderland: Guest Post: Mixed Gems: Are You Lost? Guest Post: Mixed Gems: Are You Lost? Sesame is here! A lovely bunch of bloggers have jumped in to help me out at this time so I don't have to worry about a newborn, a toddler AND blogging. Today, Veronica from Mixed Gems is sharing her lost story (no where near as complicated as the TV show). I came across an emotionally charged piece on Mammia.com a few months ago entitled “I don’t want to be a full-time mother anymore“. It told the story of Japanese American author, Rahna Reiko Rizzuto. In 2001, at the age of 37 and when her boys were 3 and 5, she decided to leave her marriage for six months to pursue her writing career. In that article, and an earlier piece on Salon.com entitled Why I Left My Children, she outlined how that short separation changed her. It made her realise she “never really wanted to be a mother”, that she feared being “swallowed up”, of losing herself. Her newfound sense of independence, eventually led to her divorce her husband and childhood sweetheart of 20 years and leave him as the primary caregiver of her sons. Suffice to say, the article stirred the emotions of hundreds, maybe thousands, the world over. Some supported her; many didn’t. Some understood her reasons; many couldn’t; some wouldn’t. Some argued we’re used to men doing it, why not a woman? However, as I read further into the comments, I found myself a teensy bit softened and a tiny bit swayed by arguments and opinions from both sides. Not swayed in that I could, or would, ever do the same. More swayed to accept that each person’s story is their own and factors we may not understand can come into play. Maybe I should not be so quick to judge. Having said that, I believe some things stand and that it is better to not have children, if you don’t want them or if you know you value your independence more. I do appreciate that the waters can become muddy, however, if you do want them, or unexpectedly find yourself pregnant, but then realise you can’t cope as a mother or parent. There are practical solutions to help with some motherhood challenges. For example with chores, you might be able to simplify your lifestyle, get relatives to help or get a cleaner (if affordable). But I believe there is one insidious area that isn’t always easy to manage or sometimes even to identify, at least that was my experience. I’ll come back to that. For about the initial three months of my first child’s life, I went through the motions of motherhood. I wasn’t unhappy but I was definitely weary, sleep-deprived and overwhelmed trying to understand how to look after this totally dependent little person. It was the onset of winter, days were getting shorter and colder and I was indoors a lot. I was struggling to get some sort of routine or at least pattern to my days whilst struggling with a catnapper who was cranky when tired but wouldn’t sleep long enough to awake refreshed. I remember starting to feel a little low, a little claustrophobic even, especially as darkness fell. Hubby was working late and I was alone. Not long after that, my mum called one afternoon and told me Oprah was airing an episode about mothers. I turned on the TV. The episode was entitled The Truth About Motherhood. For the first time, I saw real mothers talking about their “guilty secrets”; the things we normally daren’t say publicly for fear of being judged; the triggers for mummy guilt. This was all new to me. I’d never heard mothers talk like that before. I was riveted. The most poignant part for me was when actress, Cheryl Hines said her “biggest adjustment” was to “accept the loss of her old self”. Immediately I had a revelation. I was feeling lost! I was struggling to adjust to the loss of me, the loss of self, the loss of independence. No one had mentioned any of these concepts before I became a mum. It was all about the labour, breastfeeding and practical odds and ends. What about the emotional adjustment? I’d have to say that moment was a turning point. I suddenly felt I understood. I understood myself. For me now, my personal journey is about creating a new version of me, and living a “new normal” that has motherhood weaved into the fabric of my being. It’s no longer a loss of self but an enrichment of self driven by the fact that I want to be a better person for my girls. And I’m not doing it begrudgingly just for them or hubby, I’m doing it willingly for me too. Was I lost? Yes! Have I found me? I’d like to think I’m well on my way. PANDA - Post and Ante Natal Depression Inc.
Veronica blogs about treasured tidbits of life at Mixed Gems, which include her thoughts and experiences of life, motherhood, parenting, infertility, being “mixed” and a whole range of related and unrelated discoveries, musings, inspirations and the odd recipe thrown in for good measure. She’s also a photo challenge addict and loves creating and being inspired by images. (In her dreams, she’s a world famous photographer - shhhh!). You can find her on Instagram, Facebook, and occasionally lurking about Twitter and Pinterest. A gem of a post, V. I think that our society in general is 'self-centred' these days and we talk about ourselves and our feelings to the point of forgetting that life is not meant to be a bowl of ice cream every day. It's not possible and it's not going to happen no matter how many self-help books we read or therapists we talk to. It's normal to feel lost and frightened and overwhelmed and down, perfectly normal. Just not all the time. Being parents changes us. It doesn't just change our lifestyle or the kind of car we drive. It fundamentally shifts something within us and it is crazy to think that the 'old me' is still lurking somewhere waiting for us to find her. I know many people who are still searching for old-me when new-me is gorgeous and wanting desperately to play with them. Let her go, I say to them. Let her go and embrace the you that is here right now. More beautiful, wise and delicious than old-you. Kinder, more patient, more wordly, more compassionate. Embrace her. Sorry, I've just about written a post here. You moved me so much with your own! Thank you so much for your comment. It's really beautifully written and passionately so. I saw your recent post about "me-time" and I get it. I do like some time for myself (space to breathe without external demands from family, friends or other) but I'm no longer searching for the old me or old life ie: looking backwards. Motherhood has become part of my life and I choose to move forward in that. Thanks again, Bron. Beautiful post Veronica (and I love Bron's comment as well). I really like the concept of a 'new version of me' and a 'new normal'. It's not possible to hold onto what once was, because as both you & Bron have said (and I'm fully aware of as well!) everything changes when we become a mother. The journey is about learning to accept that change, and learning to embrace the newness and the challenges that come with it. I guess for some people (myself included) it also brings a time of grief when we realise that part of our lives before children is gone. Thanks for reading Debbie. I''m glad it gave you some food for thought especially after reading your post along the same theme. Having kids and all that comes with that lifestyle is just a slice of that journey. I wonder If how well we adjust depends a lot on what we're grieving for. Grief for lost career? Grief for lost independence? Grief or unfulfilled dreams or plans? And then I guess there are some women for whom motherhood was their plan all along and it completes them, fulfilling their dreams. Great post! I remember hearing about that mom who left her family. While I would never to that myself, I think I was lost during the first 3 months after giving birth. I didn't know who I was anymore - a milking machine? A sleep-deprived autobot? 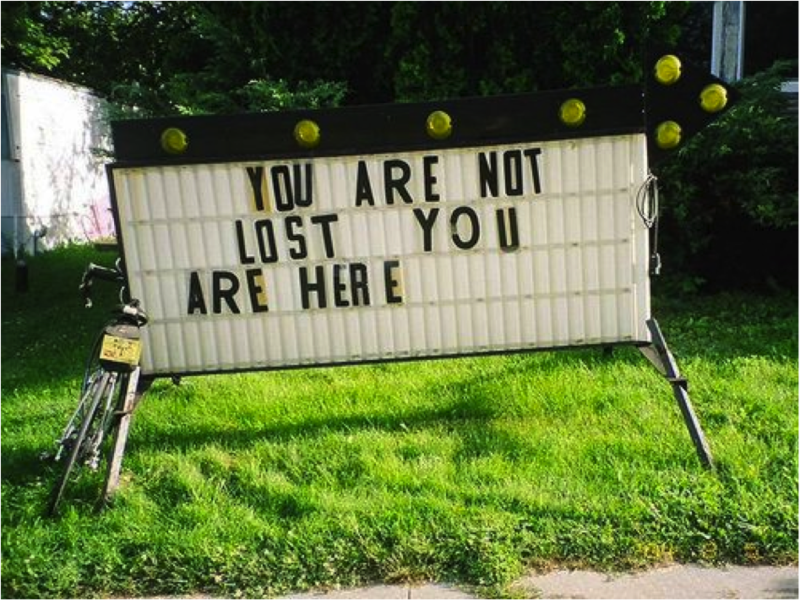 You lose your old self, and then gain a new normal as you say. I can say I've found myself now, but it did take a little bit (well, mainly getting more sleep so that I could think straight). Thanks, Maria. I think it's such a common experience for most new mothers. Some never get out of "that place" or understand it. Others struggle. I wonder how much that contributes or triggers PND for some women? I know I felt I might be on the verge at the time and I have no personal history with depression. My realisation was I had to find my "new normal" and that's made the difference. It's not made it all smooth sailing, mind you, but it's given me a context. I totally agree the sleep helps! I am just waiting for that stage to arrive once Lil S learns to sleep through; whenever that fine day might be! Great post, Veronica ! I know that if I didn't have children and I read that article, my reaction would've been one of shock and disbelief. But now being in a different position, I get it. I totally get it. I have some very emotional days trying to figure out my "new version". And now with the twinlets very much on their way to being independent and preparing for school years, I'm still trying to work out how I need to reinvent myself. Actually, your post has inspired me to write about my own "guilty secrets"...Surely, we all have them ? It's surprising, or it was to me, how much my perspective has changed after children. It's like I've had a mind shift. I suspect how I feel about myself and what I want as the kids grow will change. But I don't have an issue with this. Life is full of changes and growth. I'm keen to read about your "guilty secrets" sometime. Awesome post V, it has raised so many issues for me. It's been hard for me as I feel the old version of me was so competent and self assured, patient, compassionate, and tolerant! I am so not now! I am frazzled, self doubting, and short fused! Argh! I don't like myself anywhere near as much as I used to. I feel a post coming on..... As soon as I stop ranting at the kids! I'm glad it spoke to you, Lee. Sometimes when I look back at the "old me", I think I'm actually more patient now, at least initially. But then I blow at times and totally regret it later. For me, I think that sometimes the issues coming to the surface for me were existing issues that never got tested till I became a mother. As an independent and competent adult, I think we get used to a certain way of being and a kind of fixed idea of "self". Then we get upended by these new experiences. I now just think its normal for us to find things a challenge at times because we are being challenged in new ways. I'm trying to, as I wrote in my post, weave those things into the fabric of my being as the new version of me evolves and takes shape. I don't think it's going to be easy though, at least not all the time. Growth always comes with growing pains! I really look forward to your post! And hello Ames, I don't think I've visited you before. What a lovely blog you have and congratulations on your little one. Thanks for dropping by to read this post, Deb. In reflecting on the emotional and even psychological adjustment to motherhood, I've thought a bit about how it affects our sense of independence and what this means to our feelings of "freedom". We start off dependant babies, stretch our apron strings till we are independent and grown up as young adults. This sense of independence is, mostly free of responsibility, at least to anyone else. Then we have to learn to live with responsibility for others and codependence on our partners with our little ones dependant on us. And since we are not of those species that birth and leave our young to fend alone, we are forever knit to our children by invisible heartstrings even though they may be stretched half way around the world. Codependent forever? Therefore never fully "free"? Maybe we just need a new definition of these concepts. It's been a different experience for me. Motherhood was like finding myself, like coming home. But trying to combine it with all the other roles that society expect me to take on (or I think I'm expected to take on) has been a struggle. That's interesting, Tat. My sister-in-law would probably say the same thing though. She feels she was always meant to be a mother and do mothering things. She would have continued to have more than 4 children (within four and a half years!) if they were able to. She's been a SAHM for pretty much 13 years. I wonder what proportion of women experience each perspective. I know I've heard more about the "feeling lost" side but I am sure you are not a totally rare breed of woman and mother. Societal expectations have made us think we can and should have it all. I suppose those who feel we can are those who struggle with the loss of self the most. I, for one, don't believe we can have it all, at least not all at the same time. parenting changes us! Our responsibilities, roles, our focus and it is hard to let go of so much before. Sometimes it is such a juggle for so many new mums and a constant juggle for many. I think sometimes it is important to be honest with ourselves to know what we need to fulfil our inner being. We can be quick to judge. I would imagine this mum is a much better mum and person for doing what she needed to do to feel complete. Hopefully know she feels more embraced, fulfilled, happy. I didn't realise how much life would change after children. Maybe there isn't much that can be done to induct us into the role beforehand. Maybe sharing as we do on blogs, in mother's groups, reading books and talking with family and friends is the best we can do. I'm a believer in being honest about what we feel and where we are at. It then allows us to face it, deal with it and then move forward in whatever direction we need to. Rahna's approach seems extreme to most of us but it obviously works for their family. Thank you so much for guest posting Veronica. Such a powerful post that obviously resonates with so many of us mothers.